Will A Brow Lift Correct Frown Lines? As we age, our skin and facial features undergo changes causing drooping eyebrows and eyelids. Not only do these make us look older but also in some instances begin to affect our eyesight. When drooping eyebrows are present, it can make us look tired or even angry. 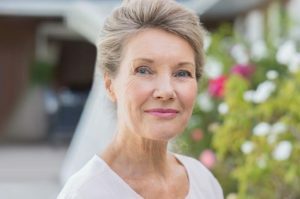 Often our patients ask what can be done to correct these conditions and we offer them the option of a surgical procedure known as a “brow lift”. This can be done by surgery or less invasively by ThermiRase® or ThermiSmooth®. Brow Lift or Eye Lift? With most individuals, heavy eyelids are really a combination of conditions-droopy eyelids and excess eyelid tissue. You and your surgeon should discuss whether a brow lift or upper eyelid surgery provides you with the better outcome. In certain cases, both procedures may be needed to give you the desired result.